Whether it's a starter home or the most modern new construction, our extensive field work and education as licensed appraisers make us qualified to provide home valuations in Fayette County for clients ranging from national mortgage companies to local lenders or individual businesses and consumers. Count on Galloway Appraisal Lexington and The Matrix AA-AVM for every appraisal need. Residential, Commercial, Industrial, Farm Appraisals. Welcome to our home page. 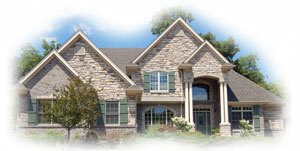 We are a full service provider of real estate valuations and consulting services. With 31 years of experience in the business, we have a proven track record of providing timely analysis and market research to better guide our clients in their real property evaluation needs.